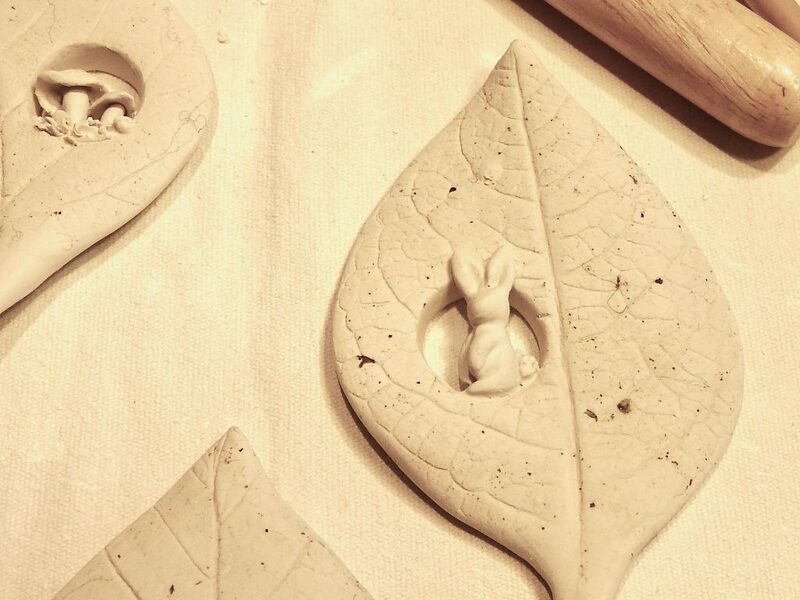 The last weeks I’ve been working on different projects in my atelier. 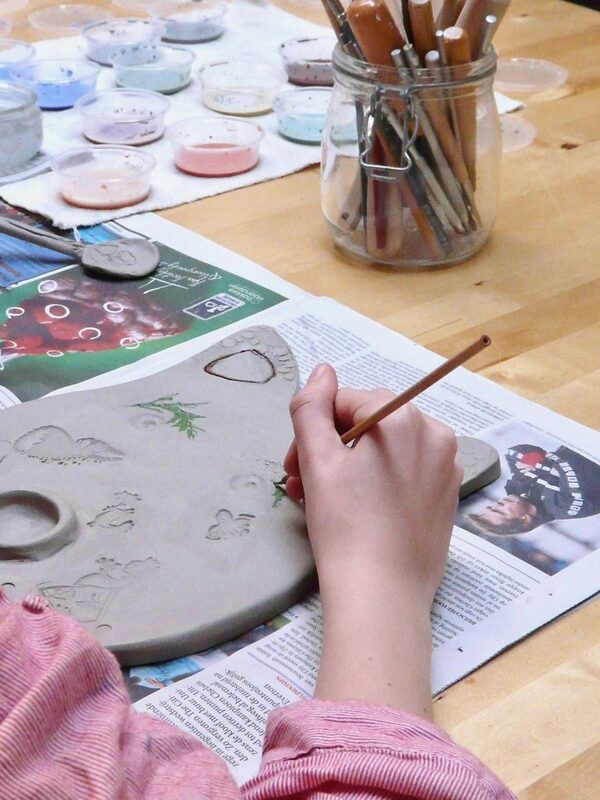 On Valentine’s Day I will give a children’s workshop in association with the culture departement of Landen. 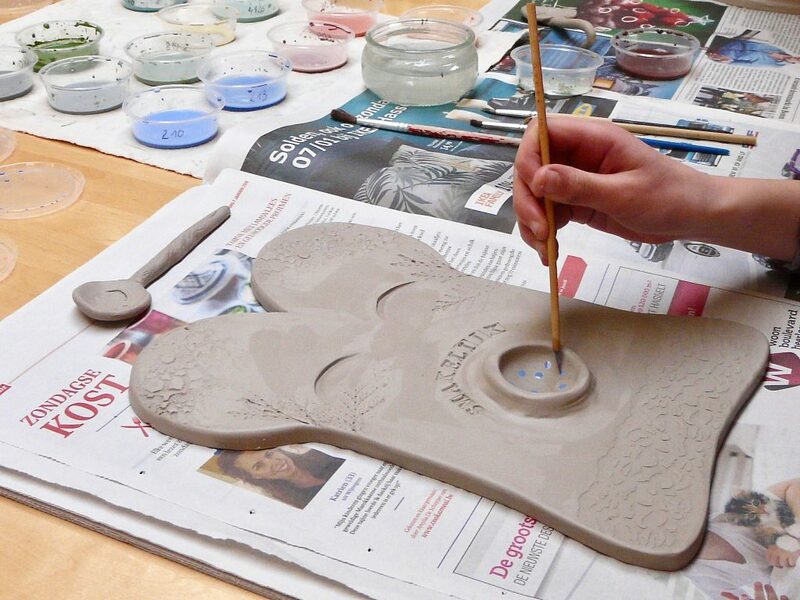 Later on in April, I will also host an adult ceramic workshop. 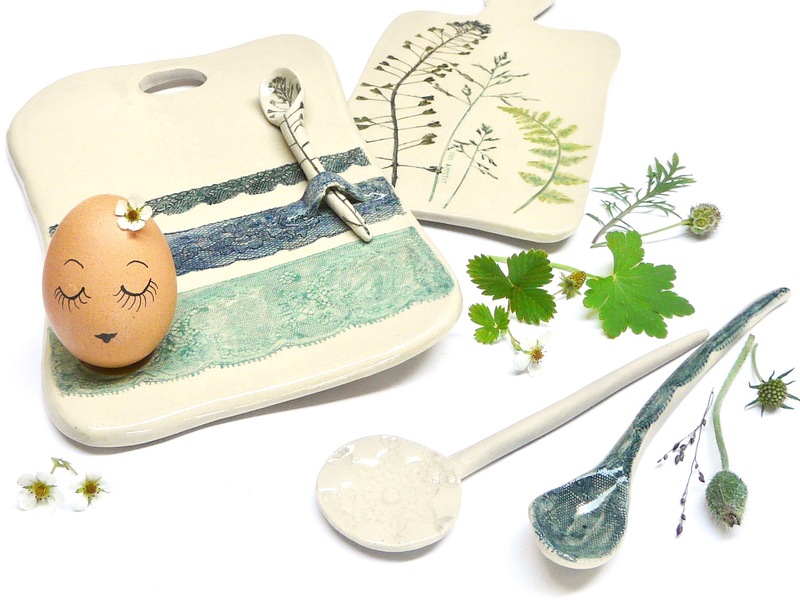 The children will create their own personal breadboard with an unique spoon. 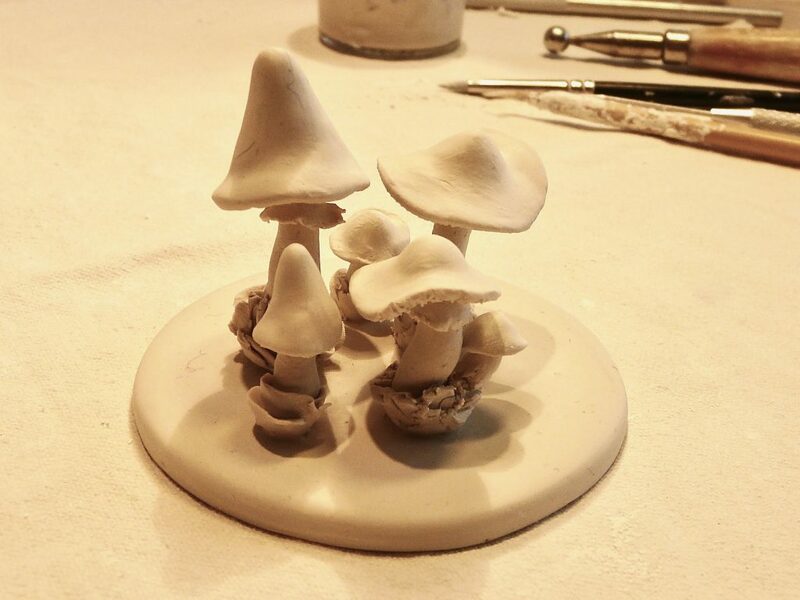 They will learn different kind of ceramic techniques and decoration to make their own piece of art! Together with our girls I practiced the workshop to see what needed to be changed or improved. It seems everything takes more time than I expected! I was really glad my girls have helped me with trying out the workshop and I also learned a lot! The most important thing is that the kids will enjoy their afternoon and make something they like. 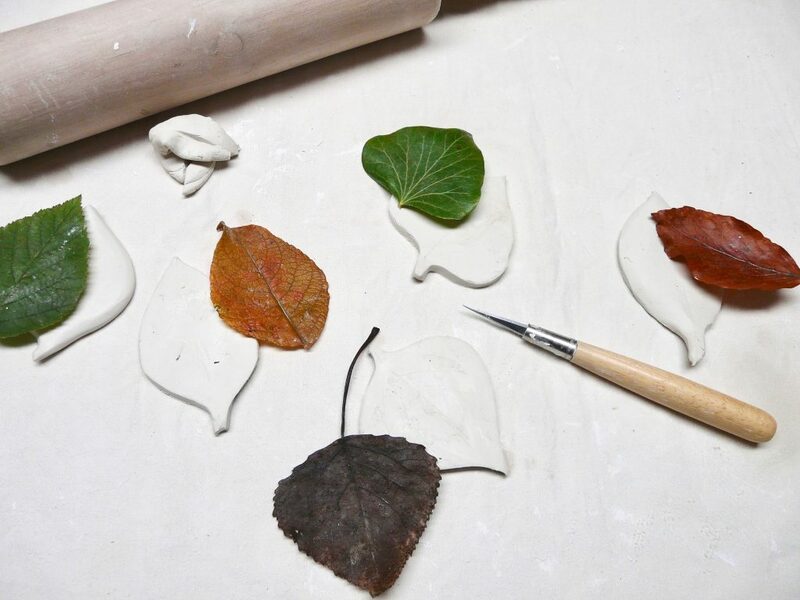 At the beginning of a new year I always like to change my atelier and have a fresh start with a new moodboard for inspiration. 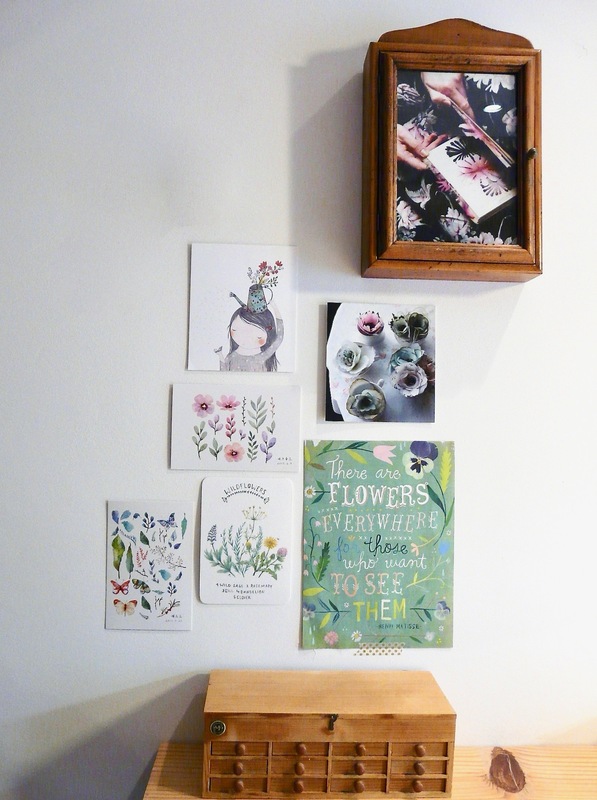 Here is a picture of my new flower wall, in combination with 2 flea market finds. 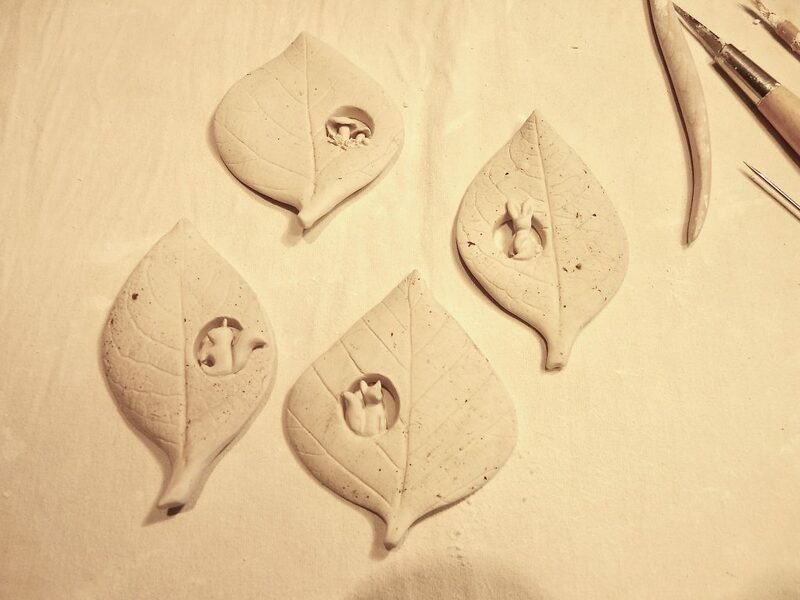 I’m also working on new “leaf” brooches. 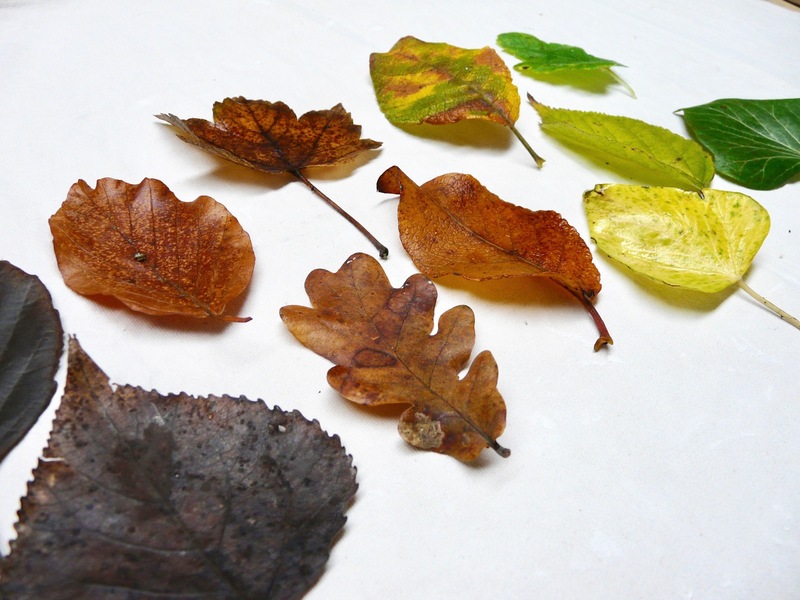 Inspired by the variety of autumn leaves; their shapes and warm colors. 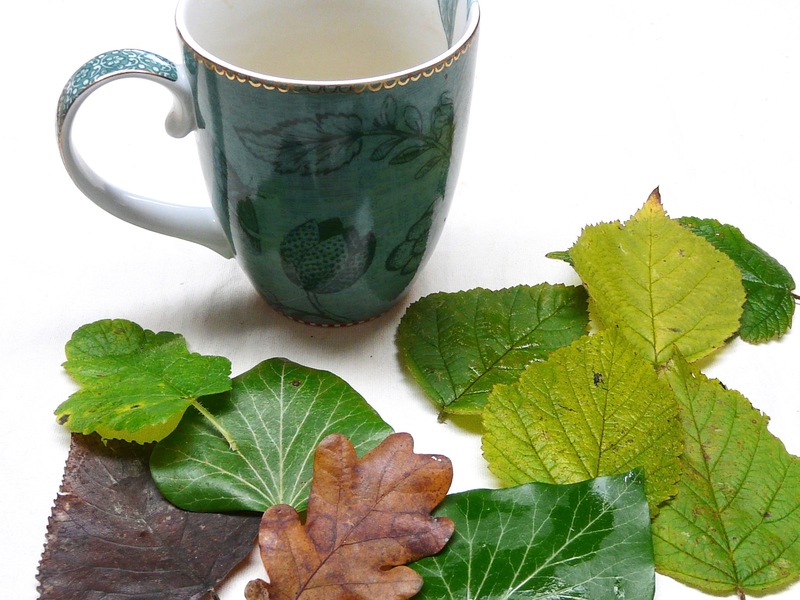 A cup of tea once in a while makes me feel refreshed and gives a cozy feeling on dark winter days in my atelier. 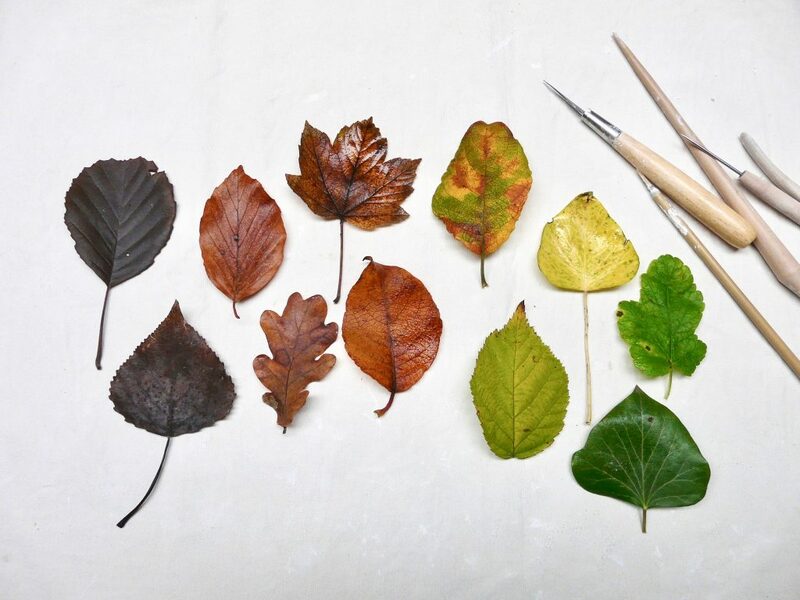 Making textures with the real leaves and sculpting tiny forest animals. 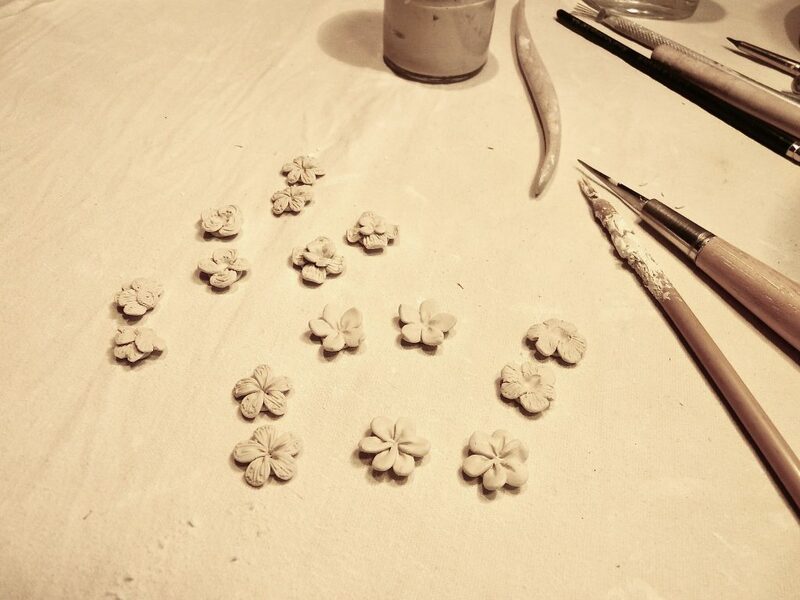 New porcelain ear studs in the making… Tiny flowers as an early herald of spring to come!